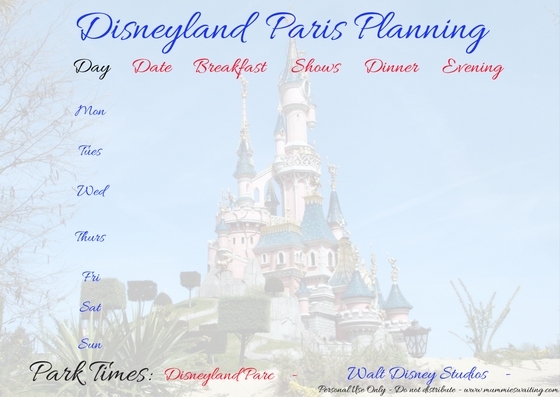 I can’t believe it, we are off to Disneyland Paris in a few weeks (about 4 actually, eek!) 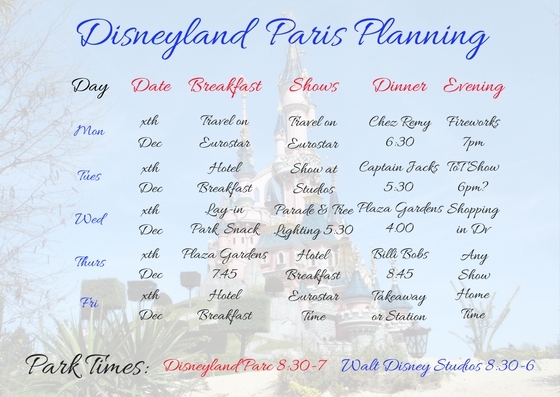 and If you follow my YouTube channel, you will know I’ve spent the past week trying to do our planning and actually book our meals! 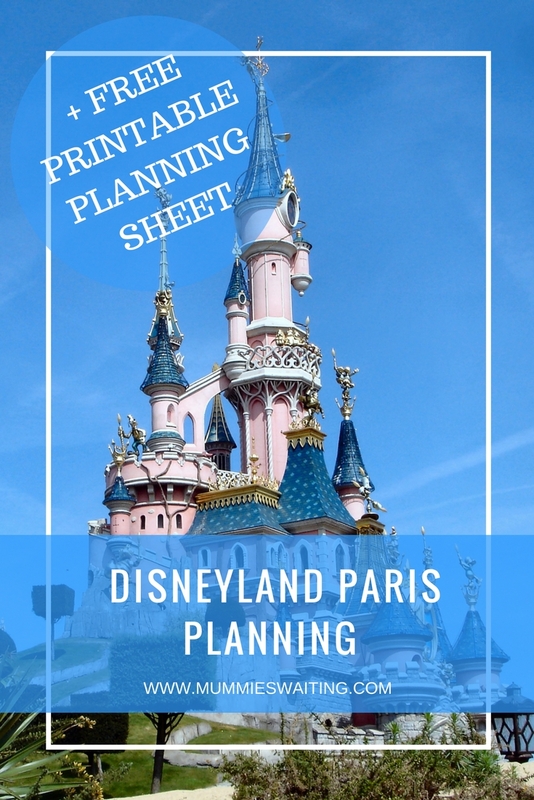 After a week of stress of Disneyland Paris Planning, it is all booked now and I feel much better, but it is complete because of this wonderful planning sheet I came up with. I’ve changed some information on our sheet to make it private before we go. I wanted to make my planning sheet simple, I added the days and dates, places to eat and what shows or evening activities we will be doing. I also popped a spot at the bottom to add the park opening times (including magic hours too). Of course, I have completed mine and changed some of the information above because I don’t want anyone taking my reservations haha! You can grab your free copy by saving the image below and if you love it and would like a reverse side, then please let me know. Happy counting down until your trip!